Like her sister ships, the Azamara Pursuit is a mid-sized beauty with a deck plan well-suited to the needs of modern voyagers. Its intimate size allows itineraries to unique, smaller ports in regions around the world that larger ships are unable to reach. On an Azamara ship, you'll sail to the city center of Bordeaux, the heart of Seville, and within a short walk to Hong Kongs buzzing nightlife and Shanghais famous Bund. You'll sail to the doorstep of Bangkok, while other large cruise lines dock a few hours away. With a capacity of 690 guests, you'll never feel crowded in the comfortable social spaces of her bars, restaurants, and lounges. Youll love the genial club-like atmosphere and the way the attentive staff and crew get to know you. And youll feel the same friendliness with your fellow voyagers. Staterooms feature modern amenities, furnishings, and European linens. And one of the greatest features of this ship is the large number of staterooms with verandas. There's nothing better than opening your door to the fresh sea air and views. Azamara's friendly ships are an altogether wonderful place to call your home away from home! Click a button above or call (877) 394-8130 to get additional information from our Azamara Club Cruise Specialists. Prices shown in US Dollars, are per person, cruise only, based on double occupancy, specified stateroom category, and subject to availability. Governmental departure taxes and fees are additional. Certain restrictions may apply. Not all special offers available in all Categories/Prices. Availability and pricing is not guaranteed until booked and deposited. SPECIAL RATE: When shown, these rates are available in specific stateroom categories and for specific passenger profiles: Age 55+, US Military, Canadian Forces, Fire and Police employee or resident of certain US states or CA provinces. Please contact us for full details and passenger profile requirements. 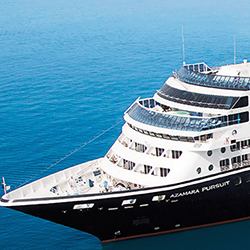 FUEL SURCHARGE: Azamara Club Cruises reserves the right to impose a fuel supplement of up to $10 per guest per day on all guests if the price of West Texas Intermediate fuel exceeds $65.00 per barrel. 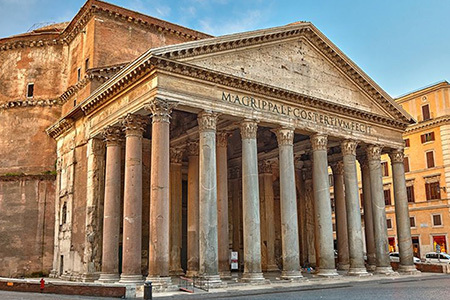 During this 3-night City Stays Package in Rome, explore beyond the traditional sights of one of the greatest cities in the world. Indulge in both pastoral pursuits and cosmopolitan pleasures with rustic cuisine, horseback riding, and world-famous frescos in the Eternal City. Journey to an organic farm on the outskirts of Rome, where you'll learn how to make bread and gnocchi, forage for wild herbs, and enjoy a lakefront lunch. Visit a milk and cheese laboratory, and go on a horseback ride. Go on an exclusive tour of the Vatican Museums and Sistine Chapel before public opening hours. Enjoy dinner at a Michelin-star restaurant. Your stay in Rome includes three nights' accommodation, select meals, and transportation services from the port or airport to the hotel, concluding with a prearranged driver taking you to the airport or port, depending on if this is a pre- or post-cruise package. Please Note: City Stays Packages are offered pre- or post-cruise as an add-on extension. 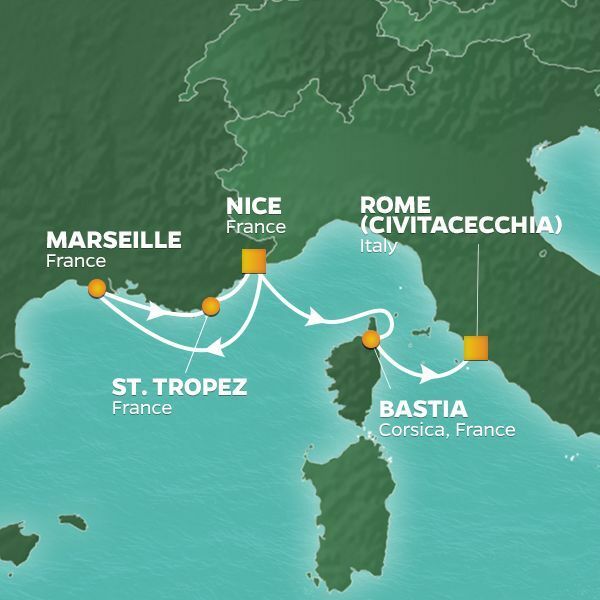 Some itineraries offer both a pre- and post-cruise extension. Please submit a Quote Form or contact us for complete itinerary and pricing information. I have sailed with Azamara Cruises in the past.